I read somewhere that clarity is not only the King and Queen of storytelling, but the whole darn court as well! I agree. Here are a few things you might look for while re-writing your first draft. 1a. 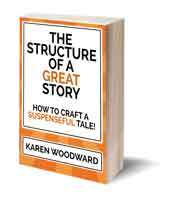 How can you increase the conflict between your protagonist and your antagonist? 1b. How can you increase the conflict between your protagonist and his/her helper? 1d. 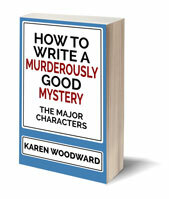 How can you increase the conflict between your secondary characters? If this is a romance, do you have other characters vying for the heroes, or heroines, hand? Or perhaps two secondary characters hate each other but both are essential if your protagonist's plan is to succeed. 1e. Is the conflict increasing throughout your story? There should be MORE conflict in the second half, especially toward the end, than in the first half. 2a. Is your protagonists external goal clearly identified? For instance, in The Firm, in the first half of the movie Mitch's external goal was to get rich and in the second half of the movie it was to escape the firm with his life, his wife and his ability to practice law, intact. 2b. Is your mid-point marked by an identifiable point of no return? Different writers have different names for the mid-point but, generally, your protagonist will suffer a setback. Often, there will either be a death at the mid-point or a symbolic death. In The Firm Mitch found out he had a choice: rat the firm's clients out to the FBI and break his professional obligation--not to mention having a hit taken out on him by the mob--OR throw in with the firm and have the FBI come after him. Either way his goose would be cooked. 2c. Is your 3/4 point marked by a major setback? I know this can seem formulaic, but it's not easy creating a major setback (sometimes called the 'all is lost' point) that the majority of your readers would be surprised by! Just because there's a formula doesn't mean the story isn't complex and enjoyable. Take the Indiana Jones movies, for instance. Or the original Star Wars trilogy. 2d. Is the protagonists external problem clearly resolved at the end? Well, that's it for now! I'll be revisiting this topic again, soon. If you have any tips you'd like to share, please do! NaNoWriMo will soon be over but I liked the little update I gave at the end of my posts so I'm going to try an experiment. I'll continue it but instead talk about what I'm reading. My current addiction (that's how I read, in great uncontrolled gulps) is Jeaniene Frost's Night Huntress series. I'm on book number two: Halfway To The Grave. Isn't Bones great? Jeaniene's books are paranormal romance, but with a strong action/adventure backbone. Great storytelling. 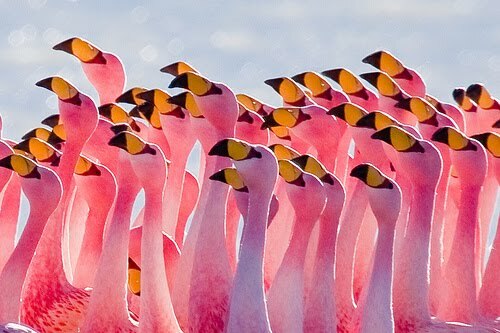 Photo credit: "Flamingos Partying" by szeke under Creative Commons Attribution 2.0. I was interested to see you apply 'clarity' to a broader perspective. To me, clarity is more about staying linear in thinking. If you make the reader's mind jump back and forth, you can expect them to close the book soon. Good point! For me--and perhaps this is idiosyncratic--I see clarity at the level of plot as well. I like to be able to hold the bones of the story in my mind. If I've done a good job mapping out the story, I feel I should be able to do this. I've found that the times I couldn't, there was something wrong with the structure. But perhaps this isn't true of every story. Or every writer.